An accessible and intriguing study of the Irish Fenian Dynamite Campaign in Britian from 1881-1885. A new age in warfare between Britian and Ireland whereby new clockwork bomb detonators greatly improved the effectiveness of the republicans arsenal. A fascinating history of the dramatic events that unfolded and the British state’s response to the bombings. The transformation from regular warfare to the strategy of a war of attrition within urban centres was an enormous development within the history of Irish Fenianism. Having its origins in the complex world of Irish-American politics, the Fenian dynamite campaign in Victorian Britain was undertaken between 1881 and 1885 and was largely a response to the failures of Fenianism in the previous decade. Involving many well-known Fenians, such as Jeremiah O’Donovan Rossa, Thomas James Clarke and Denis Deasy, who died in British custody following arrest for his role in the bombings, the campaign was as innovative as it was modern, and represented an increasing predilection for clockwork mechanisms on explosive devices. As Shane Kenna describes, this was the first time in history the bomber did not need to be close to his bomb before detonation,but could set it, deposit the explosive in an urban centre and have ample time to escape before detonation. This is the history of those dramatic events and also the story of how the British state responded to an adversary fighting a war in the shadows. 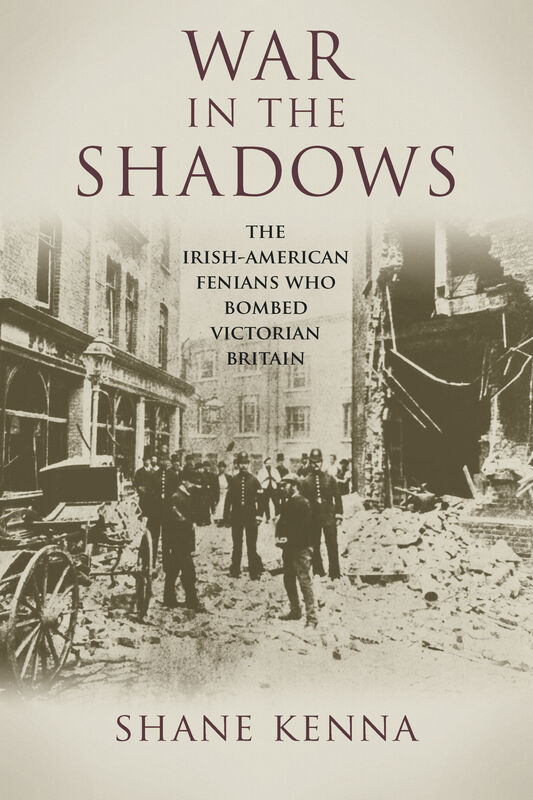 Irish bombings in Victorian Britain would capture world headlines and the public imagination. The campaign left behind a significant legacy: for the first time in British history the Irish question would not be confined to Ireland, but would affect British urban centres and sensibilities, reaching and touching not only the political elite, but the very people themselves. Introduction: Who Were the Fenians? Shane Kenna is a Doctor of Modern Irish history and lives in Dublin. Since graduating from Trinity College Dublin, he has lectured extensively throughout Britain and Ireland about the Fenian Dynamite Campaign. He has previously worked for Kilmainham Gaol Museum and Dublin Castle. His research interests include nineteenth-century Irish nationalism.